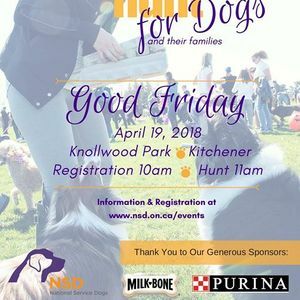 National Service Dogs’ Easter Egg Hunt for Dogs is a family event that includes your fur baby. It has been hosted in various cities over the last 20 years! Getting its start in Oakville, Ont. in 1998, the event quickly became NSD’s largest and most anticipated event. 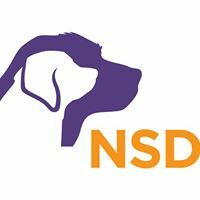 All monies raised support NSD’s award-winning Certified Service Dog programs. 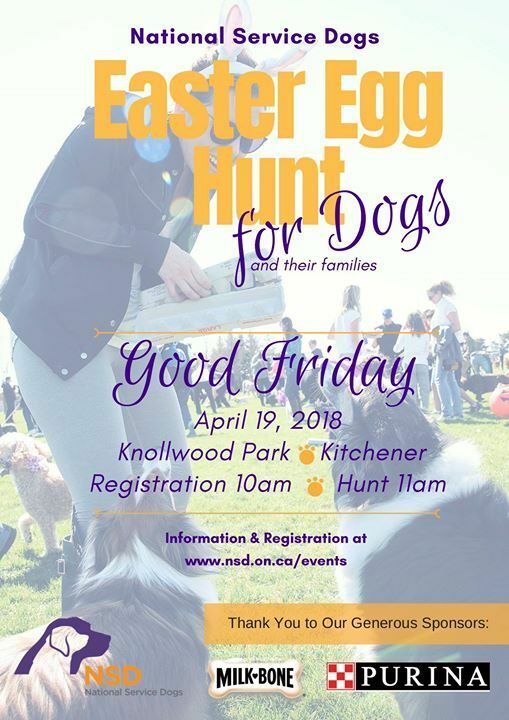 Each year, thousands of plastic eggs are filled with dog treats and hidden over a defined area of a local park. Each egg contains a Milk-Bone treat and a sticker, representing a chance to win one of the hundreds of great prizes. Collect more pledges and you can collect more eggs!